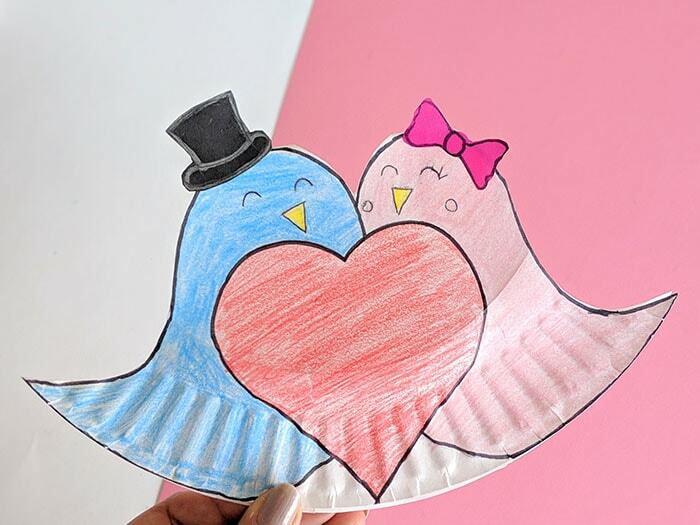 It’s the season of love with Valentine’s Day coming up and what better way to celebrate than with a sweet paper plate love birds craft?! 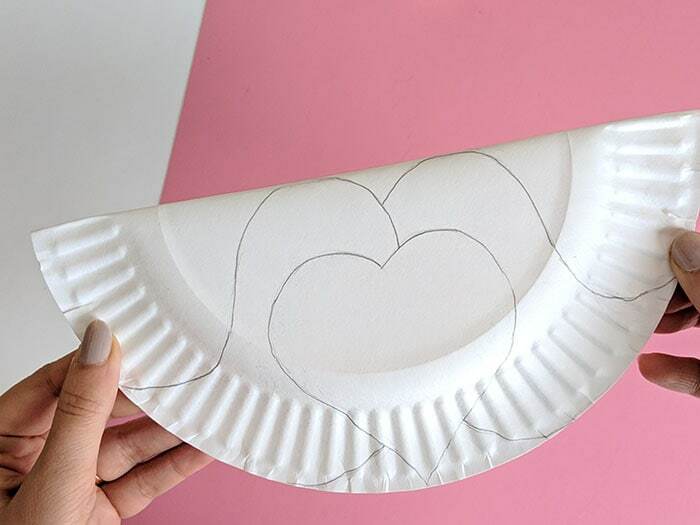 All you need is a single paper plate and a few other materials to whip up this love birds craft in a jiffy. 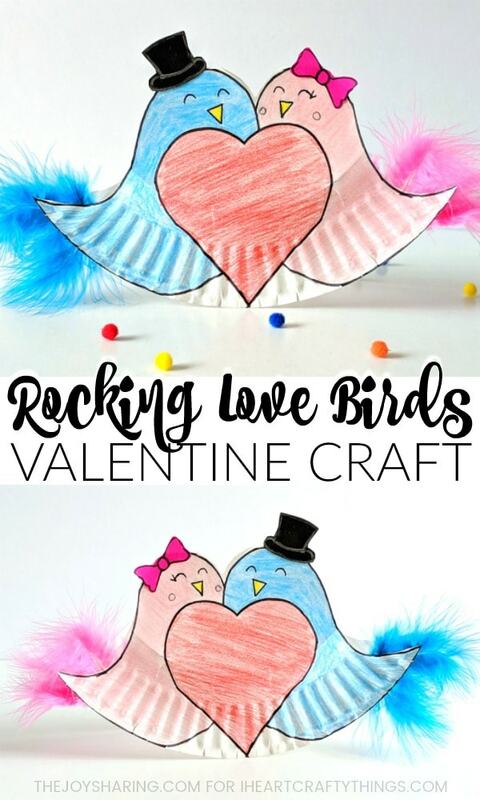 The best part, after making it, kids will enjoy playing with their craft, watching as their love birds rock back and forth as if dancing. 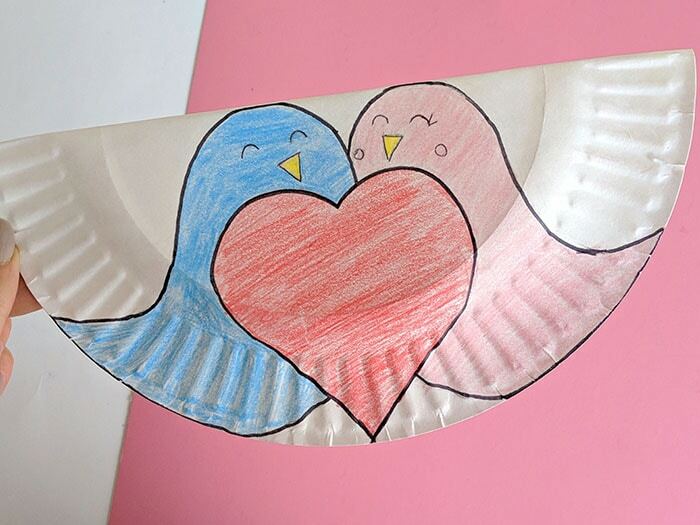 Go grab some paper plates and get ready to make this sweet rocking paper plate love birds craft with the help of our easy step-by-step tutorial below, contributed by TheJoySharing.com. 1. 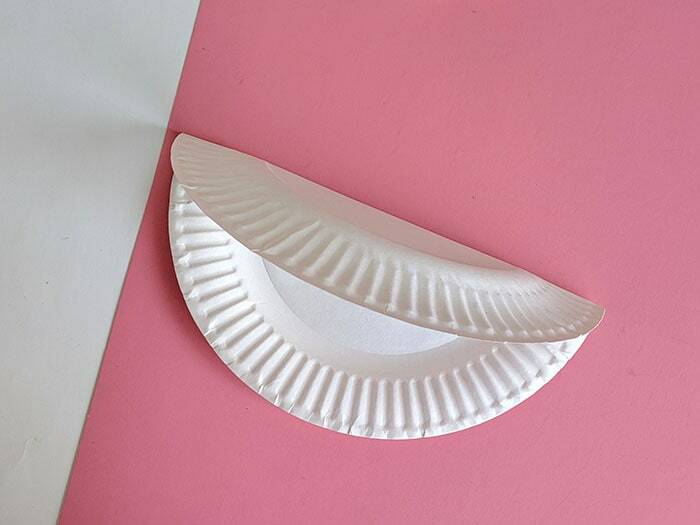 Grab your paper plate and fold it in half. 2. 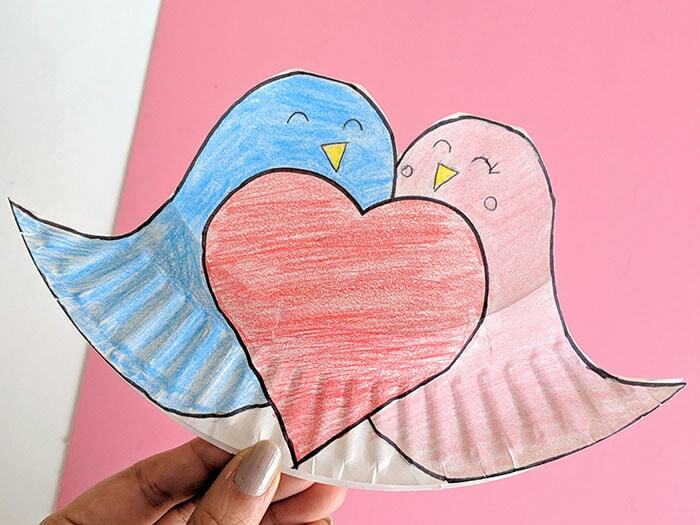 Use your pencil to draw the love birds with a heart outline on one side. Use your picture below for a guide on how to draw your love birds. 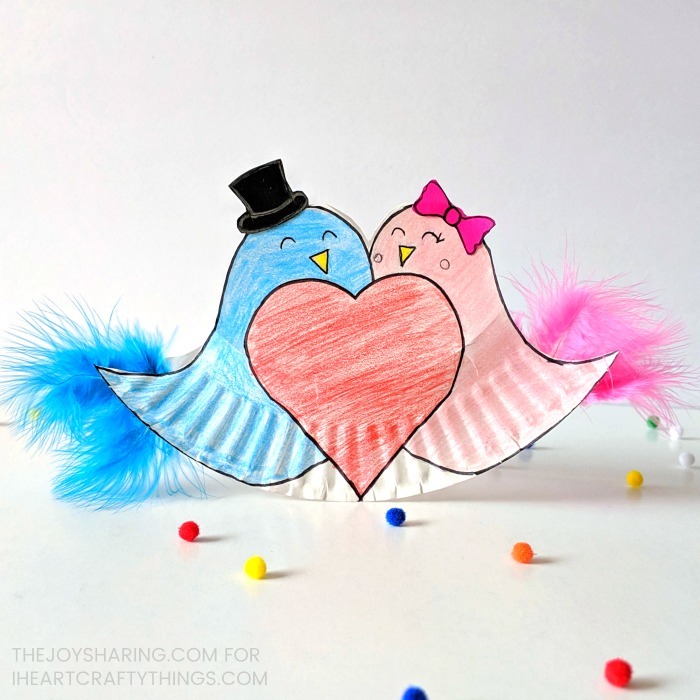 Now draw the bird’s eyes and beak on your love birds. 3. 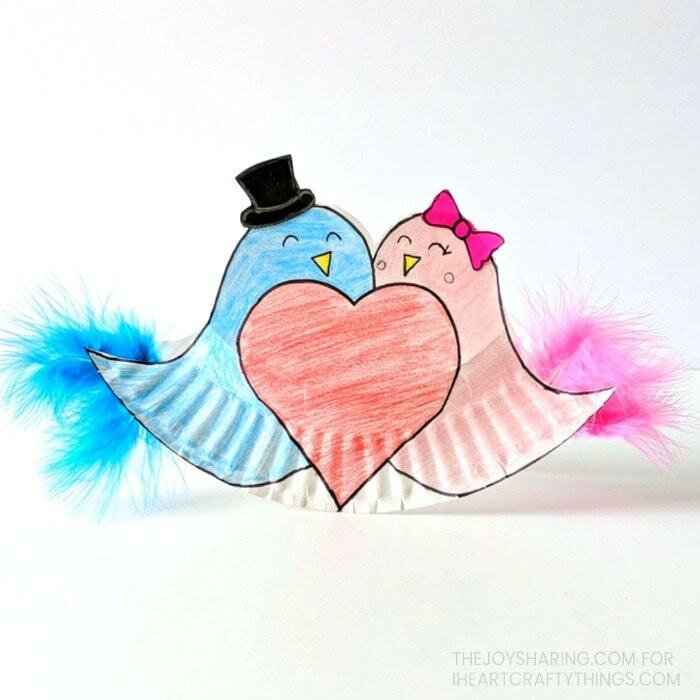 Color in the love birds and heart using colored pencils (or crayons) as shown in the picture below. Outline the birds and heart using a black marker. 4. 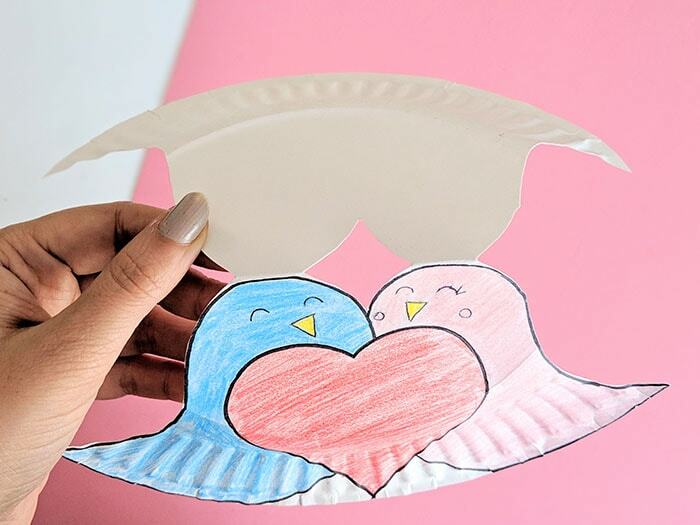 Carefully cut out the top section of the paper plate along the love birds shape, leaving the top part intact as shown in the pictures. 5. Trace and cut out a hat from black cardstock paper and a bow from dark pink cardstock paper. 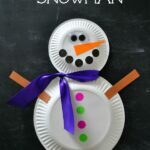 (Note: You can also use the paper plate scrap left.) Cut out the shapes and paint black for hat and dark pink for bow. 6. Glue the hat on the blue bird and bow on the pink bird. Of course if kids choose to color their birds different colors that is perfectly fine. Knowing my daughter, her birds would probably be a colorful rainbow. 7. Glue a few feathers on each bird’s tail. Your cute love birds are all set to rock! To make your love birds rock, simply tap the end of either of the birds and watch as the paper plate rocks back and forth. It looks like two happy love birds doing a little dance. To see these love birds in rocking action, head over to our Instagram page or Facebook page and look for a short clip of the craft in action. This darling Handprint Keepsake Craft is easy for children to create and it makes a wonderful gift for teachers, parents or grandparents. You are going to love this cute Robot Valentine Craft. Download and print our free card template and then design your robot around it. 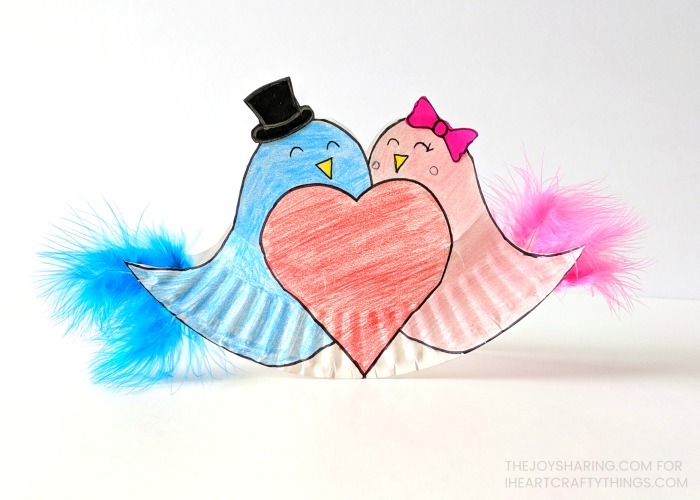 A fun, creative Valentine craft for kids. Have a llama fan? 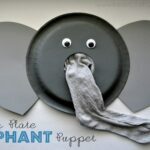 If so, they will adore making this cute Llama Valentine Craft. You can decorate your llama with mini poms or little heart stickers for Valentine’s Day. 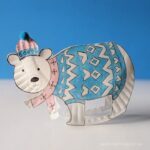 These 3D Hot Air Balloon Cards are simple to make and are gorgeous! They are great for not only Valentine’s Day but Mother’s Day too.